Audrey Copeland, PhD’07, has been named the next president and CEO of the National Asphalt Pavement Association. She will assume the new role at the NAPA 2019 annual meeting Jan. 20-23. NAPA is the only national trade association focused exclusively on the interests of asphalt pavement mix producers and paving contractors. During a transition period, Copeland has served as NAPA’s chief operating officer. 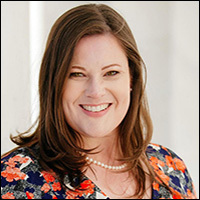 The selection of Copeland, who earned a doctorate in civil engineering from Vanderbilt University in 2007, comes after an intensive search process conducted by a succession task group. NAPA’s executive committee confirmed Copeland’s selection unanimously. “Audrey’s technical background, combined with her experience with federal agencies and her relationships with NAPA members and industry partners around the world, position her well to take on the challenges the industry faces from day one,” said Craig Parker, 2018 NAPA chairman and executive vice president of Silver Star Construction of Moore, Oklahoma. Copeland joined NAPA in 2012 as vice president of engineering, research and technology. In that role, she has grown NAPA’s engineering team and forged strong relationships with the State Asphalt Pavement Associations, Asphalt Pavement Alliance, National Center for Asphalt Technology at Auburn University, the Asphalt Institute, Federal Highway Administration, and other industry professionals and partners. She also served as technical lead for more than$2 million in industry-funded research projects and secured a cooperative agreement with the Federal Highway Administration that has invested more than $2 million in government funding to advance asphalt technologies. Prior to NAPA, Copeland served as a highway and materials research engineer with the Federal Highway Administration. She holds master’s and bachelor’s degrees in civil and environmental engineering from Tennessee Technological University. She is a licensed Professional Engineer in Maryland and Virginia.